What makes it special? Standing just a short distance from what was formerly a section of The Berlin Wall The 2.260 sq.ft. Ritz-Carlton Suite offers a cosmopolitan experience with the ambiance of a private home and view to the vibrant cityscape of Europe’s most contemporary urban plaza, the Potsdamer Platz with his greenery of the Tiergarten, Berlin’s biggest inner-city park nearby. 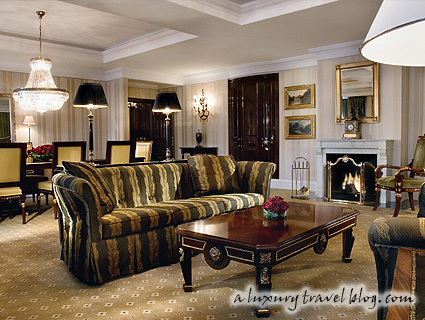 The interior design of The Ritz-Carlton, Berlin was created by Cologne based Peter Silling. He, in turn, was inspired by the works of renowned Prussian architect Karl Friedrich Schinkel (1781-1841), whose architectural genius can still be viewed in many of Berlin’s most famous buildings. 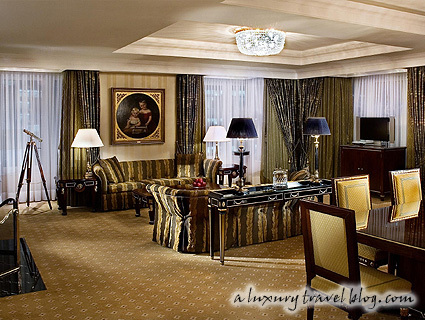 Furnishings chosen for The Ritz-Carlton bear marked resemblance to the German Imperial style which dominated the historic city for generations. It remains a strong influence even as Berlin gains a new reputation as a stylish capital city of contemporary innovation and design. To further reflect the influence of Prussian architect Schinkel, each of the 302 guestrooms and suites as well as The Ritz-Carlton Suite at The Ritz-Carlton, Berlin is distinguished by original watercolors being created by Professor Markus Luepertz, a German artist highly noted for his 20th century neo-expressionism style. His works, entitled “Homage a Schinkel” come from the architect’s original design sketchbooks. Each of Luepertz’ copperplates is printed on hand-made paper, an original and unique tribute to one of the world’s most respected architects. The artwork complements very spacious accommodation featuring some of the most up to date technological features, from bedside control panels to heated bathroom floors. 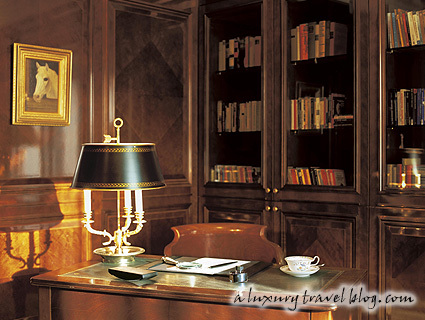 Inlaid cherry wood closets and armoires contrast with the soothing shades of beige, browns, and golds of the interior. The Ritz-Carlton Suite is especially adjusted with interior design of chosen antiques, arts and fabrics, two bed rooms and a sauna in the bathroom. Further elements of The Ritz-Carlton Suite: Marble bath with separate shower, toilet cabins, two sinks and floor heating, complimentary local newspaper in the morning, In-room safety deposit boxes, CD- and DVD Player, TV with remote control, SAT-TV and complementary mineral water as a welcome amenity as well as flavoursome bath salts fluffy bathrobes, slippers and Bulgari Amenities.